Dr. Corey studied law and jurisprudence at Old College, Edinburgh before taking up graduate work in political philosophy. His M.A. and Ph.D. are from Louisiana State University, home of the Eric Voegelin Institute for American Renaissance Studies, where he worked closely with Cecil Eubanks, Ellis Sandoz and Jim Stoner. While in graduate school, he won a Richard M. Weaver Fellowship from the Intercollegiate Studies Institute and a Deutscher Akademischer Austauschdienst Fellowship (DAAD) for Research in Germany. He spent the entire 2000-2001 academic year at the Universität Heidelberg, studying German and writing a dissertation on the Greek Sophists. Dr. Corey began teaching while a graduate student at LSU. 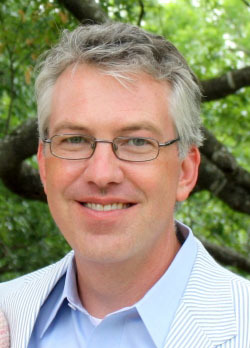 He joined the Baylor faculty in 2002 and has won eight teaching awards. In 2010 he held the Bell Distinguished Visiting Professor Chair at the University of Tulsa, where he delivered the annual Bell Lecture on the western just war tradition. He is the author of two books, The Just War Tradition (2012) and The Sophists in Plato’s Dialogues (2015). He has written more than a dozen articles in such venues as the Review of Politics, History of Political Thought, Modern Age, Interpretation: A Journal of Political Philosophy, and the Cambridge Dictionary of Political Thought. His current project, Political Philosophy Against Ideology, is a study of the loss of healthy political association in the United States due to the rise of ideology. Dr. Corey is closely affiliated with a number of institutes and foundations. He is a Faculty Associate at the John Jay Institute, a Research Fellow for the Institute for the Study of American Civic Literacy, and a Peer Reviewer for the National Endowment for the Humanities.